Thousands of bees have begun swarming across a small suburban neighborhood in Phoenix, Arizona, stinging six individuals so far, which includes four who have now been hospitalized. Firefighters drove off the horde using their fire hoses and foam. One of the victims was stung Tuesday night in a bee attack in Gilbert, Arizona. The man, a firefighter, was stung 40 to 50 times when the bee got inside of his protective hood. The firefighter was taken to the hospital for immediate treatment. 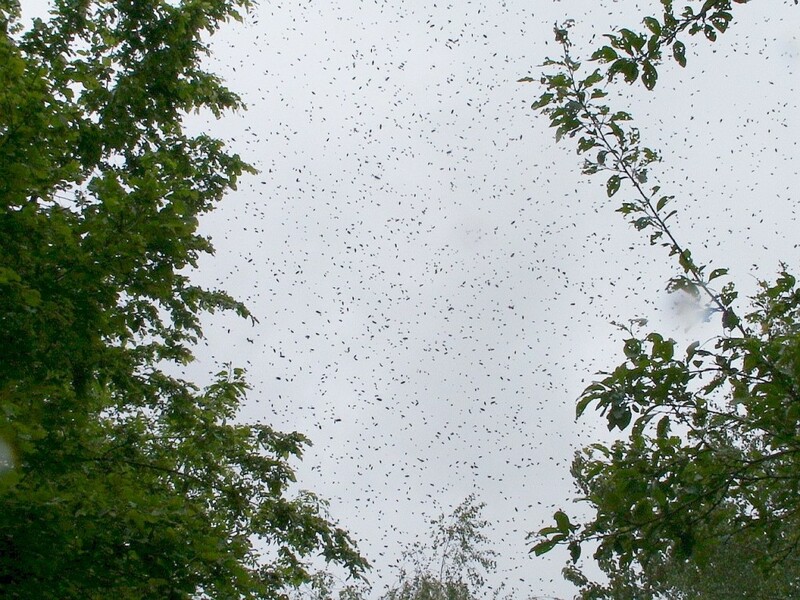 The bee swarm has sent everyone running into their homes in fright, and people in the area have been advised to remain indoors while crews closed down numerous residential roads to fight the cloud of bees. It is unclear what caused the bee swarm to become so aggressive, though it is not uncommon for hives to be found within trees in suburban areas in Arizona. Residents are being told not to mess with the bees or to disrupt them in anyway.